Are you in pain right now? You're going to want to read this! Get This ONE Thing To Get Out Of Pain NOW! If you or someone you know is suffering from chronic or acute pain right now, please read on. Imagine owning a small, portable high-tech wearable device the size of your phone that not only takes most if not all of your pain away, but keeps it away. This technology is extremely effective, non-addictive, natural, safe, and has been approved by the FDA for years. No more trips to the chiropractor or physical therapist for therapy. No more visits to the pharmacy to have your pain medication prescriptions refilled. No more sense of hopelessness and depression. You can now do the things you only wished you could do before. Imagine being more productive at work because your back, neck and shoulders don’t feel achy any more. Perhaps you like to play sports, instead of watching from the sidelines you are now able to play. Day to day activities you used to take for granted like driving, gardening, cleaning your house, or even exercising are now possible. 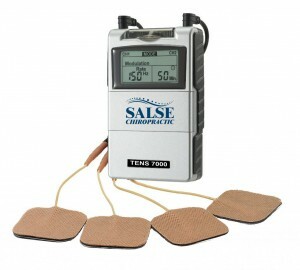 The technology is called T.E.N.S.. It’s an acronym for Transcutaneous Electrical Nerve Stimulation. Used properly, it can virtually eliminate many types of neuromusculoskeletal pain and discomfort from the body. Its important to note that this technology is not a cure, but a unique type of pain management. You should talk to a qualified healthcare professional before using TENS. How does it work? There are basically two theories. 1. The Endorphin Theory: Electrical impulses within the body activate the release of endorphins, our own natural painkillers. An external stimulus will mimic our own reaction to pain and release endorphins accordingly. 2. The Gate Theory: Like rubbing something painful to dull the pain, the sensation of TENS uses the same pathways to the brain as the pain. If the TENS stimulation sensation gets to the brain before the pain signal, the pain signal is essentially blocked. As I consult with corporate employees up and down the coast I get asked, “So why didn’t my doctor tell me about this?” To be fair, most primary care doctors are simply not educated in TENS technology. Therefor, they do not know how or when it is appropriate to use. Other doctors are very busy and don’t have the time to screen, train, and educate after prescribing a TENS unit. Yet there are other doctors that know the benefits of TENS but choose not to prescribe them. If a patient can manage their pain on their own, they won’t need to come in for follow-up visits or therapy. Unfortunately, for some doctors, healthcare is strictly a business and prescribing TENS units means less office visits, less therapy, less epidurals, and less medication. Whatever the reason your doctor has not recommended TENS to address your ongoing pain is now in the past. What is important is that you found this article and now you can do something about managing your pain on your own. Costco, Bank of America, Disney, Boeing, Ratheon, LAX, Technip, Technicolor, Sketchers, The Ritz Carlton, Radisson Hotels, Hilton Hotels, Amtrak, Baxter Pharmaceuticals, Hologic/Genprobe, Kia, Toyota, Yum Inc., Tokyo-Marine, Bose, Gulfstream, Coca Cola, Pepsi, Anheuser Busch, L3 Communications, Bio-Rad, Alcoa, Siemans Healthcare Diagnostics, Quest Diagnostics, Pierce College, Relativity Media, Autozone, UPS, PPG Aerospace, Paramount, Mission College, L.A. City College, Helix Medical, Mitsubishi, Fujitsu, Cannon, Aramark, Methodist Hospital, The Bicycle Club, Isuzu, Teva Pharmaceuticals, Green Dot, Wet Design, Sheraton Hotels, One Lamda and The ILWU Longshoreman. Can I just purchase a TENS online on my own? Some of the smaller more mild units don’t require a prescription and can be bought online through e-commerce retailers of transcutaneous electrical nerve stimulation devices, while other, more effective units will need doctor approval before they can be purchased. I do not recommend purchasing your TENS unit online. Unless you have experience with one, you want a trained healthcare professional to make sure you have the right unit with the the right settings for the best results. In addition, some pain patterns can seem like they are from the back and neck, but they could be referred pain from another part of the body. Your doctor will let you know if this is an appropriate treatment for you. Will my insurance cover TENS? We have found that TENS is a benefit on most PPO insurance plans. These units require a constant supply of batteries and electrodes which are also covered by insurance. Another benefit of using your insurance is that your healthcare provider will screen you to see if TENS is appropriate for you. There are some health issues where TENS would not be indicated. Finally, being properly trained in how to use your new TENS unit is important. Where should I place the electrodes and how do I care for them? What settings are most effective? How long and how often can I use it? What if my insurance does not cover TENS? Our office carries the most effective units on the market. You can purchase your new TENS unit through our office. The price includes includes a consultation, evaluation, screening, and training on how to use your TENS unit most effectively for years to come. If you would like to find out more about TENS units, give my office a call to set up a one-on-one consultation. HR Directors: If you would like one of my associates to come to your company for a Lunch and Learn or for a corporate health fair, contact us. TENS may not be appropriate for you. But isn’t worth the chance to find out? 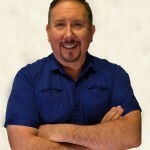 David M. Salse, DC Owner – Salse Chiropractic Center, Inc. A licensed chiropractic physician, David M. Salse, D.C. is a regionally recognized lecturer and speaker based out of Monrovia, CA. He has presented extensively at seminars and workshops on the subject of optimal health and healing through natural chiropractic. His twenty-five years of clinical practice with over twenty-five thousand patients has provided him with extensive knowledge and experience in the field of chiropractic and manipulative therapy. Dr. Salse is a 1993 honors graduate of the Los Angeles College Of Chiropractic/Southern California University of Health Sciences. Prior to his post-graduate education, he attended California State Polythechnic University, Pomona where he graduated with a Bachelor’s degree in Biology. Beginning his career as a chemist, he provided his knowledge in the area of research and quality assurance for an international diagnostic reagents company. Although he had a promising and lucrative career in front of him, he decided to go back to school to fulfill his lifelong dream of helping others live a better life. It was an auto accident that introduced him to chiropractic. After experiencing tremendous relief, he decided to specialize as a chiropractic primary care physician. Since he began practicing, Dr. Salse has worked with the top national and international recognized leaders in his profession. He has traveled extensively across the nation attending many continuing educational classes, ensuring that his patients receive the most comprehensive and advanced chiropractic care. Each year, Dr. Salse donates his time to the community by giving free educational seminars to schools and businesses. If you would like Dr. Salse to speak at your next school function, work safety meeting, or social gathering, call Salse Chiropractic in Monrovia, CA to book an engagement.